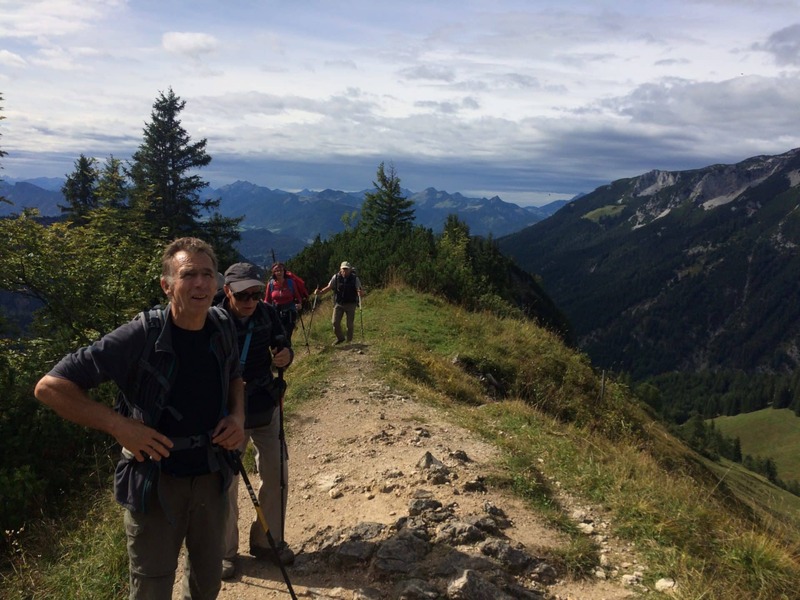 Follow Philippe, UIMLA certified mountain leader, on this 6 day guided hiking trip in Tyrol and discover the spectacular Austrian Alps! If you are looking for a perfect natural setting, fresh mountain air and beautiful crystalline lakes, Tyrol has them all. 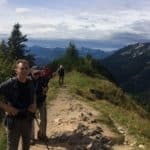 Join me on this 6 day guided hiking trip and discover this unique beauty in the heart of the Alps. Located in northern Italy and western Austria, Tyrol is a historical region in the Alps. 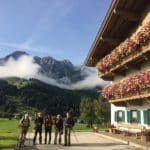 On this trip, we will cover 24,000 kilometres of marked hiking and mountain paths as we admire the spectacular views of the Tyrolean Mountains. For the 5 nights of our trip, we will rest and relax in the Wildauerhof Hotel. 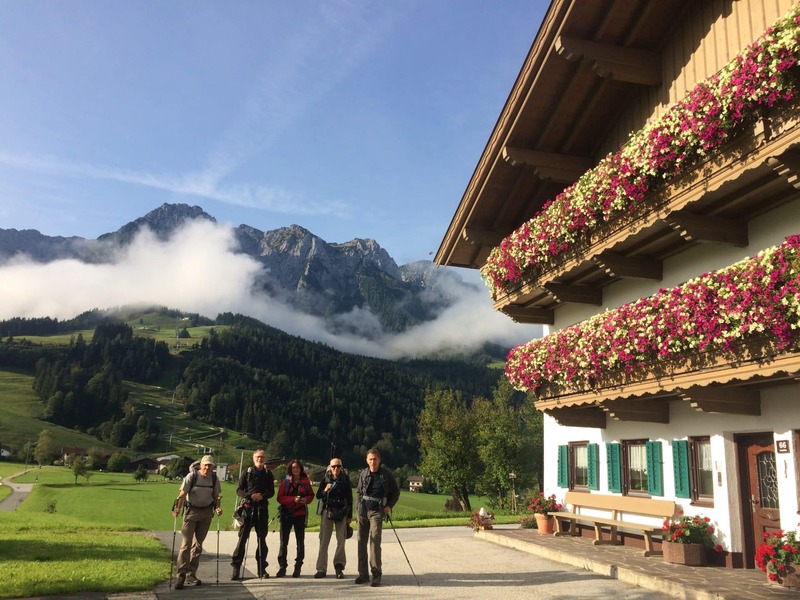 Set at the foot of the impressive Kaisergebirge mountain range, in the charming village of Walchsee (668 m), this resort is the ideal place to relax, to enjoy some delicious local food made by the Wildenauer family and to prepare for the next trekking day. For a more detailed description of the trip, please take a look at the itinerary below! 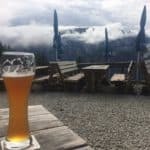 As you can see, this hiking adventure in Tyrol is perfect getaway to disconnect and to immerse yourself in Nature. So if you are ready to experience unforgettable moments in the heart of the Alps, send your request and join me on this trip! Looking for a different hiking adventure? Then you may also be interested in this 3-day hike in the the heart of the Vosges. First, we will meet at around 6 pm at the Wildauerhof Hotel, in the Walchsee village (668m). This will be our accommodation during the entire hiking program. Loop trek from Lake Walchsee. First, we will climb to Lippenalm (961 m). Then we will head to the summit of Ebersberg. There, we will catch magnificent views of the Wilder Kaiser and the Zahmer Kaiser . Finally, we’ll explore the Erzbach valley and descend back to our hotel. Free time to take advantage of the Fitness and Wellness Area integrated into the hotel. Loop trek from the hotel. We will start climbing to Großpointneralm. Then we will go to Winkelalm, and pass through the passage in the “circus” at the foot of the spectacular Jofenspitze and Pyramidenspitze. After, we will climb to Jovenalm (1,342 m). 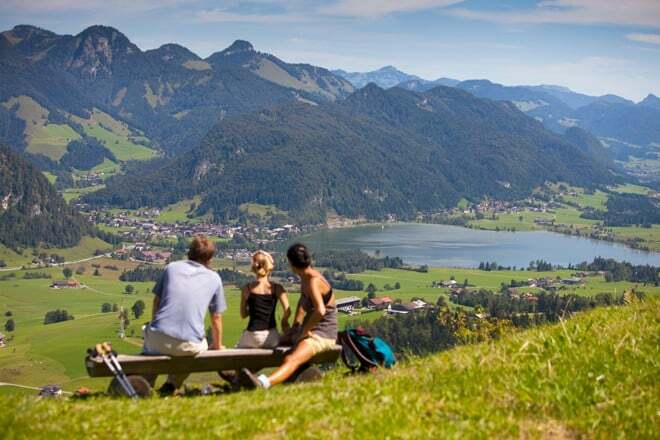 There, we will catch wonderful views of the Walchsee valley. Finally, we will descend back to the hotel. We may also descend through the Walchsee summer toboggans from the top of the “Zahmer Kaiser” cable car (one of Tyrol’s most beautiful summer toboggan runs). 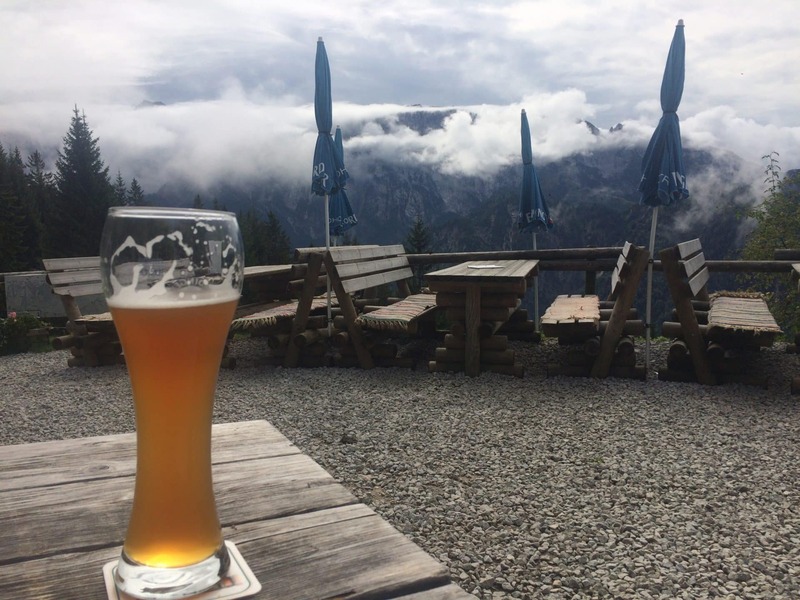 First we will climb to the valleys and travel through beautiful forests that lead to the Taubensee-hütte from where we’ll have a panoramic view of the entire region. Then, we will go to Lake Taubensee (1,140 m) nestled in the bottom of a glacial cirque and located on the German border that goes through the middle of the lake. We will continue our journey in Germany to the Stoibenmöseralm Inn (1,273 m) located on a plateau with a magnificent panoramic view of the Chiemsee and the Alps before descending to Kössen. 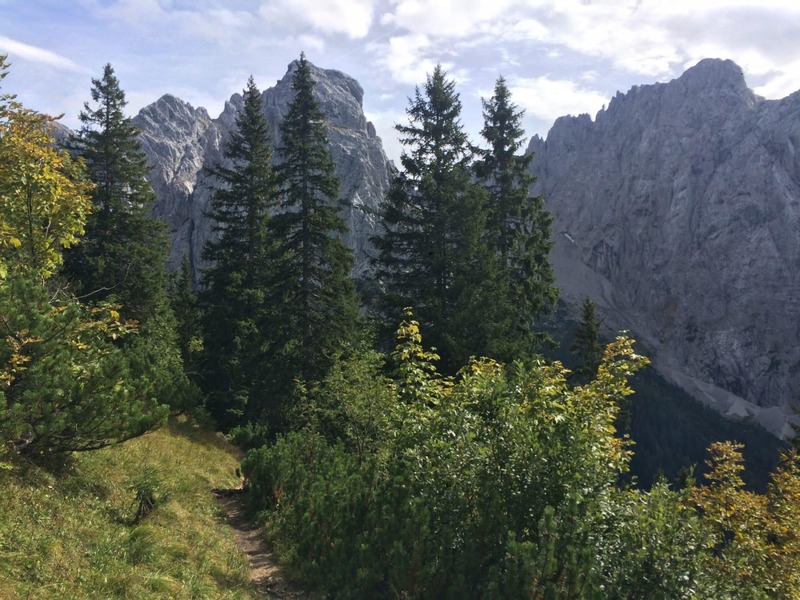 We will discover the Kaiserbachtal valley, located in the Kaisergebirg Natural Reserve . The reserve, surrounded to the east by the Wilder Kaiser and to the north by the Feldberg and the Zahmer Kaiser region, embraces 10,200 hectares of unique flora and fauna in the Alps. This pleasant walk, rich in sumptuous landscapes and exceptional discoveries, along the wild stream of Kaiserbach, will take us to the Fischbachalm and the Inn of Griesner Alm located at the foot of Stripsenjoch (1577m). First we will cross the valley at the foot of the Riedlberg massif. Then, we will go through the passage to Edernalm (910m) and Ottenalm (960m) and descend to the foot of the cliffs of Kranzinger Berg (1015m) to Walchsee. End of the stay on Friday at 2 pm at the hotel. 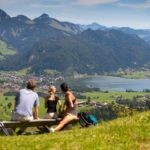 The accommodation is full board (picnic) in a double room in a hotel restaurant "Sun Spa" **** family comfort, located in the countryside facing the "Zahmer Kaiser" and 20 minutes walk from the lake and the village of Walchsee. The spacious rooms are decorated in a traditional Alpine style and feature cable TV, a seating area, and a bathroom with bathrobes and a hairdryer. Free Wi-Fi is available in public areas. The garden includes a sun terrace. You will be welcomed by the Wildenauer family and everything will be done so that you have no other worries than to relax. Bathrobes and towels are provided free of charge for treatments. The hotel also offers many massage options, see paragraph "Additional services". Attention: in Austria, few rooms are equipped with 2 separate beds but rather "middle" beds that is to say 2 twin beds, with mattresses and individual duvets. The individual registrations are grouped in room of 2 persons except if you request the supplement individual room. Evening meals and breakfasts are taken at the hotel. You will discover some Tyrol specialties, 4-course dinner with salad and cheese buffet. Lunchtime meals are made in the form of cold picnics prepared by your guide. 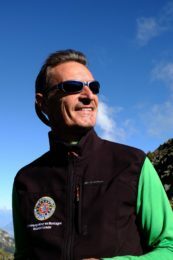 I'm a UIMLA-certified leader and have been sharing my passion for nature and the mountains for the last 30 years. I love to venture into isolated and quiet places to discover new environments, new panoramas...everything nature has to offer. 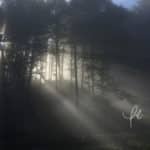 I love to share these precious moments during hikes or treks and help you discover life's subtleties by walking towards the unknown, both in France and abroad. This is why I became a mountain leader. 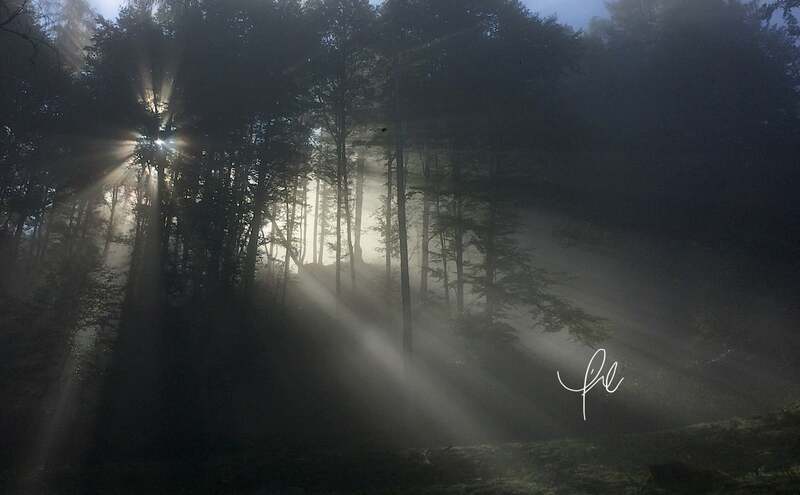 Hiking will be the starting point of all our adventures and will allow us to cook wild plants or mushrooms, watch the stars at night, draw, photograph or film all that is ephemeral in nature. But we will also find the time to relax and take in a beautiful moment.